Patrick Heron? Which Patrick Heron? 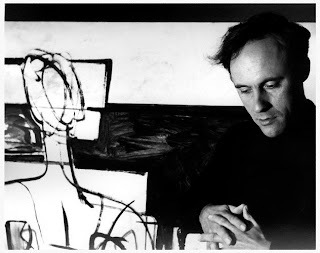 The Patrick Heron written about by Adrian Clark in his new book (British and Irish Art 1945-1951: From War to Festival, Hogarth Arts, 2010) was the highly regarded British artist who lived 1920-99. He looked like this, in a 1954 photograph by Ida Kar in possession of his daughters Katharine and Susanna Heron. Patrick Heron was also a very well-known critic who wrote regularly for such journals as the New Statesman.